Designed and embellished to create the appearance of classic stone sculpture and cast in high quality polystone, the Star Trek: Discovery Klingon Emblem Stoneworks bookend is a stunning iconic piece that is worthy of display on your shelf by itself or effortlessly holding up media of your choice. Each hand-painted bookend is built on a 90 degree angle so you can choose how to display. 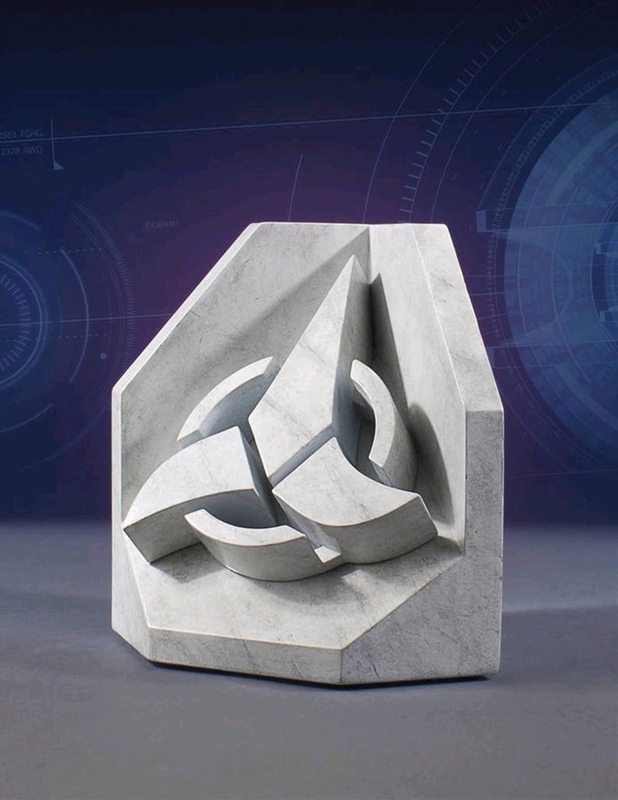 The Star Trek: Discovery Klingon logo Stoneworks bookend is sold as a single piece so you can double up, mix and match or pair up with our recently announced Starfleet Emblem Stoneworks bookend. Each Star Trek: Discovery Stoneworks bookend comes with a hand-numbered Certificate of Authenticity.